I met him at Dunedin Stadium at Grant Field in Dunedin, Florida in 1996, when the Philadelphia Phillies came to play the Toronto Blue Jays in a spring training game. 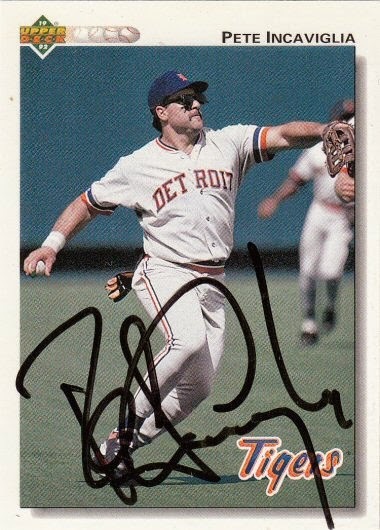 Pete signed a 1992 Upper Deck card #271. Pete's signature sure has changed over the past twenty years. It is a lot shorter now. I am glad to see that it wasn't always that way.